Thailand’s southern islands are world-renowned – Koh Samui, Koh Phangan, Koh Phi Phi – and rightfully so. They all have those gorgeous white sand beaches that feel like flour between your toes. They’re packed with great dining options, beautiful dive spots, and plenty of nightlife, too. 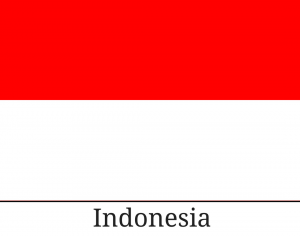 But the downside to these islands is that everyone loves them. Particularly from December to February, when the weather is beautiful, hoards of tourists descend upon Thailand’s most popular islands, turning them into crowded commercial hubs and overrun backpacker party spots. 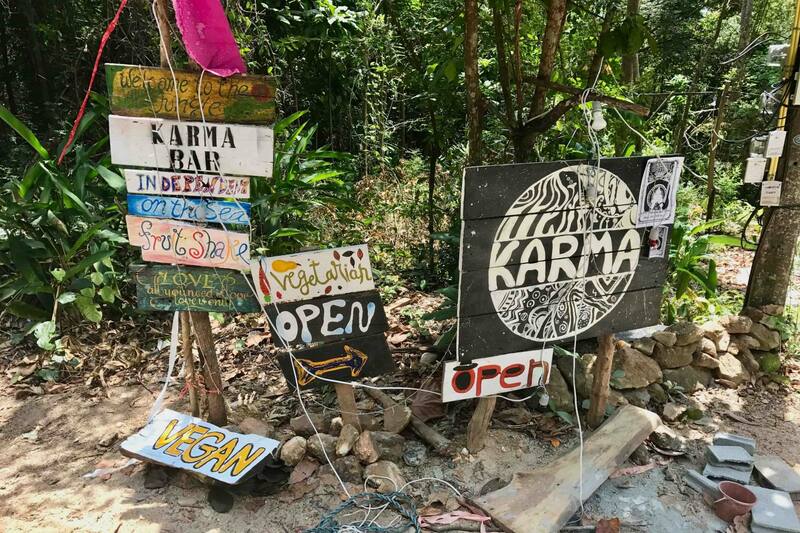 So, how can you spend some time on a Thai beach without sharing it with your hundred closest “friends?” One answer is Koh Chang, an underappreciated island in Thailand’s east, near the Cambodian border. I went to Koh Chang mainly to get back into scuba diving, which is what the island is probably most known for. But it has lots to do back on land, too, and I also wanted to share some more details to help you plan your own Koh Chang trip. Read on for everything you need to know about this less touristy piece of paradise. If you’re coming from Bangkok, the bus ride portion of the journey is around five hours, if there are no delays, and the Koh Chang ferry takes no more than an hour. In Bangkok, buses heading east mostly leave from Ekkamai station (also known as the Eastern Bus Terminal), located conveniently on the city’s skytrain system. 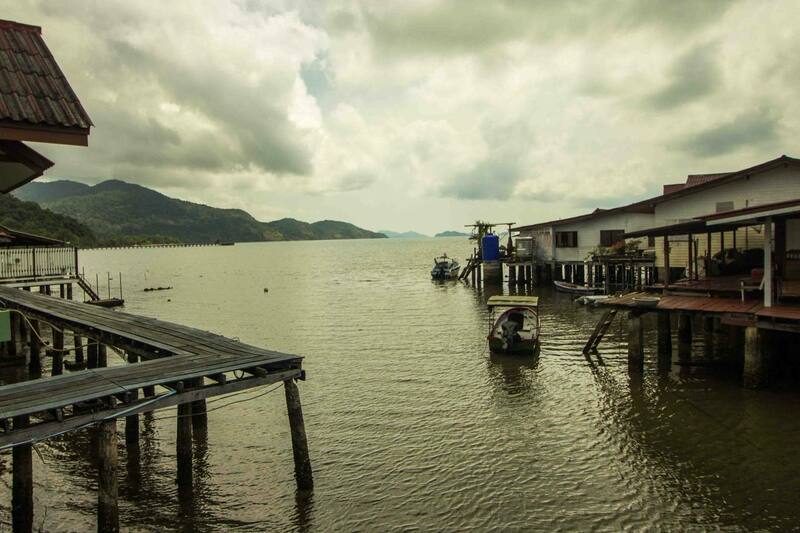 You might be able to get a bus straight to a ferry terminal in Laem Ngop, or otherwise, just take the bus to the town of Trat. Sometimes the Trat buses drop people going to Koh Chang at a seemingly random junction outside of town, so don’t be alarmed. Either way, a songthaew will pick you up and take you the half hour to the ferry pier. 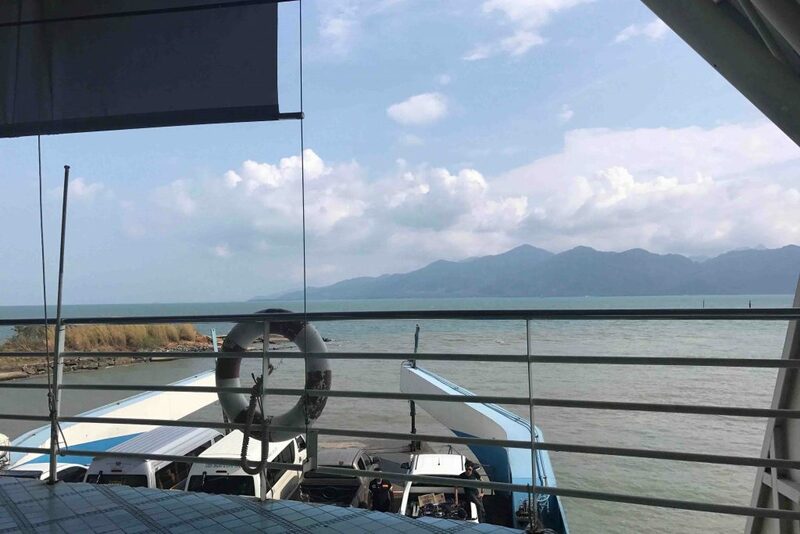 Two ferry companies in Laem Ngop have boats going to the island: Ferry Koh Chang and Centrepoint Ferry. Their terminals on the mainland are several miles apart, but both will reach the northern tip of Koh Chang in an hour or less. Food and drinks are served on board, and the journey is surprisingly comfortable. Even passengers who usually get seasick probably won’t have too much of a problem, as the strait between the island and the mainland is protected from the big waves of the open ocean. Take this time to enjoy the spectacular views of this verdant tropical island! Once you reach Koh Chang, you’ll find a mass of songthaews just outside the ferry pier waiting to take you to your destination. They all charge the same price, so don’t worry about negotiating like you would with a tuk-tuk. The price is determined by which beach you’re getting off at. It costs 150 baht ($4.25) to get to the island’s southernmost beaches and takes about half an hour. 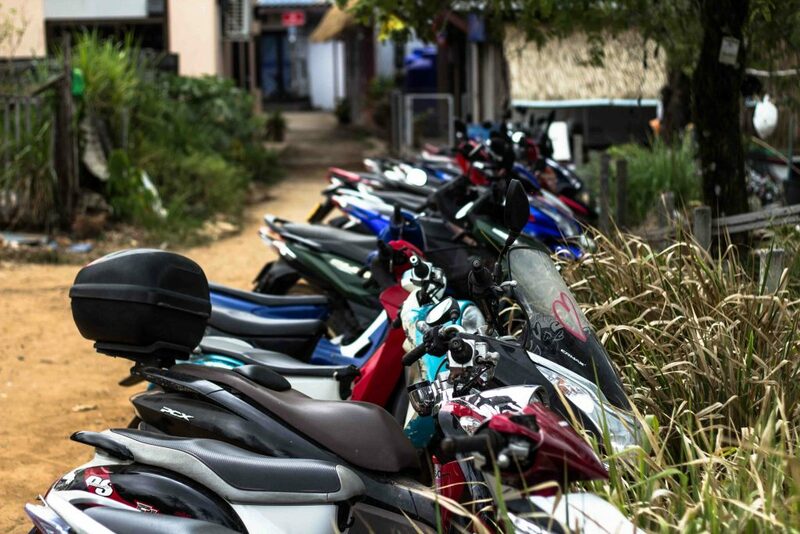 To travel around on Koh Chang (which mostly means between the different beaches), you have two main options: hopping in a songthaew or renting a motorbike. For the most part, the beaches are too far apart for walking to be a realistic option, and surprisingly, there aren’t really tuk-tuks on the island. The songthaews here are overpriced compared to other public transportation in Thailand, and in the evening the drivers will ask you to rent the whole vehicle, which can cost 400-500 baht (~$13). I guess they can’t count on enough people to run songthaews as regular public transportation, but it makes getting around this way less unaffordable. Of course, the other option, renting a motorbike, isn’t the safest choice. If you don’t know how to ride one, Koh Chang isn’t the best place to learn. The island is quite mountainous, and some of the roads are in terrible shape. If you’re an experienced rider, though, this is the way to go. At 150-300 baht ($5-$8.50) for a daily rental, it’s way cheaper than the songthaews, and allows you much more flexibility and independence. Most of the beaches and tourist facilities are located on Koh Chang’s western side, and it’s the only area that has public transportation. There are plenty of accommodation options and lots of things to do on the western side of the island, but a mellow paradise it is not. The uber-developed White Sand Beach in the northwestern corner is home to sprawling resorts, and further south, the no-longer-accurately-named Lonely Beach has become a major backpacker party destination. If either of those are what you’re looking for, head to the west coast! If not, read on. 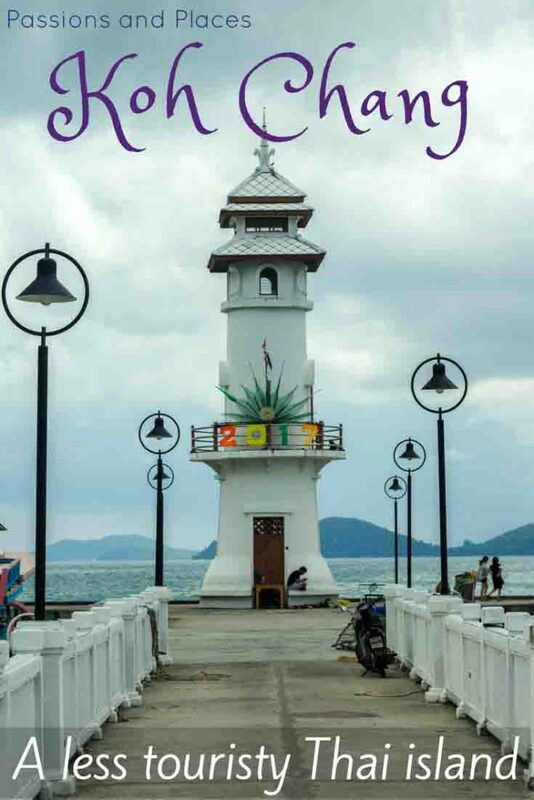 It’s the southern tip of Koh Chang that offers solitude for travelers coming to admire the beauty of the island and looking to get away from it all. If you chose Koh Chang to escape the tourism and development of Thailand’s more popular islands, the south is where you’ll want to go. Bangbao is the development hub on the southern coast, but consists of little more than a tourist market on the pier, several restaurants, a few diveshops, and some simple accommodations. Only a couple decades ago, it was just a small fishing village, before divers discovered the stunning coral and colorful fish lurking in the water just off the coast. The nearby beach of Klong Kloi accommodates visitors who want something even more relaxing than the minimally developed Bangbao. The story is that one family owns the whole beach and leases out parcels to restaurants and guesthouses, but refuses to sell to developers who would turn it into a big resort. This is where I stayed, and it was the perfect place to kick off my Thailand adventure. Between Bangbao pier and Klong Kloi are two large hills (I know because I walked them instead of hailing an overpriced songtaew), a single luxury resort, and several Rasta bars catering to budget travelers and Bob Marley enthusiasts. Along with a few restaurants on Klong Kloi beach, they make up the dining options for this end of Koh Chang. It’s not the gourmet cuisine available in Bangkok or Chiang Mai, but the views of the ocean are unbeatable. On Klong Kloi beach, I stayed at Santisuk Bungalows, which consists of several un-air-conditioned bungalows and a large patio that doubles as the reception desk and a place to drink your morning coffee. If you’re looking for something basic (and budget-friendly!) on a quiet beach, I definitely recommend Santisuk. Otherwise, while I can’t personally vouch for them, below are other popular accommodations around the island, ranging from budget to luxury. Chang Cliff Resort: Amazing ocean views at a budget price. MAC Resort Hotel: Swanky resort with a beachside pool. Koh Chang Bailan Beach Resort: Low-key resort in the heart of the backpacker area. Hammocks everywhere. Warapura Resort: Modern chic resort with a large dining area overlooking the beach. Nirvana Resort: Luxury accommodations on the island’s quiet southern tip. 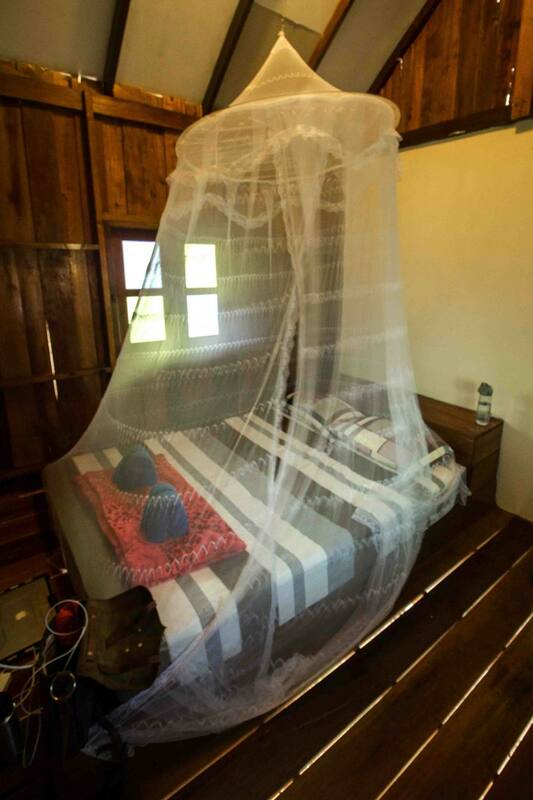 Chivapuri Beach Resort: Romantic getaway on Koh Chang’s least touristy beach. Diving is probably the most popular activity on Koh Chang, and rightfully so, given the beautiful coral and underwater life just an hour’s boat ride from the shore. There’s also the HMS Chang shipwreck, for more experienced divers to explore. There are plenty of diving companies to choose from on the western side of the island, and most have offices near Bangbao pier, where the boats leave from. I went with Scuba Dawgs, based mainly on their TripAdvisor reviews, and had a great experience. Prices for fun dives and certification courses are some of the lowest in the world, so be sure to take advantage of this if you have a few days to spend on the island and an inclination to get underwater. The best diving conditions coincide with the island’s dry season from November to April, when the water is the clearest. Of course, snorkeling is an alterative to diving in Koh Chang, and day trips take snorkelers to the best spots around the island. While I didn’t get the opportunity to explore the interior of Koh Chang (I was tired from all the diving, and had had enough sun), there are a few hiking opportunities that will take you through the dense forest. If you talk to the rangers at Mu Koh National Park, you’ll probably get booked on a short, overpriced walk to a waterfall. From what I’ve heard, you don’t learn much on the walk, and most people leave disappointed. I’m not knocking the rangers, though. 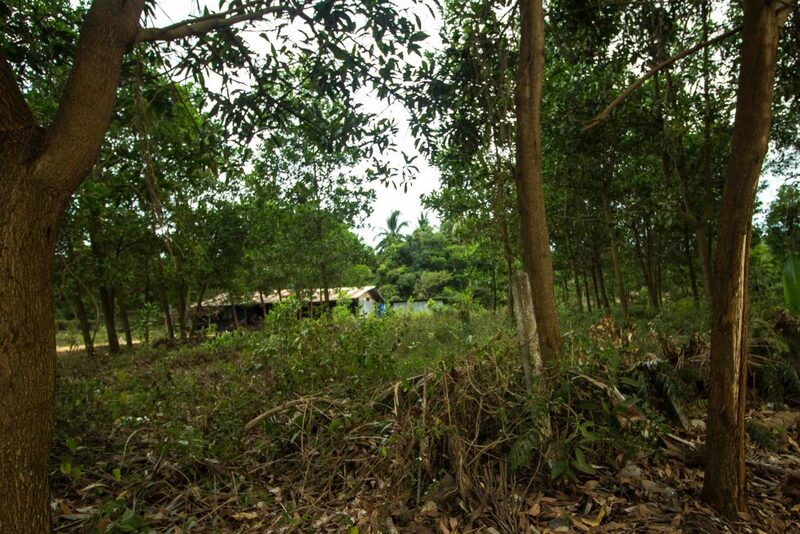 They probably have conservation interests in mind; cutting trails through the jungle and guiding leagues of tourists on them is sure to be detrimental to this virgin landscape. The other option is to hire a local guide. It sounds like many of them don’t speak much English, but there’s one who comes highly recommended,Tan. He spent years in Australia, so his English is excellent, and he’s really knowledgeable about the hikes on the island. 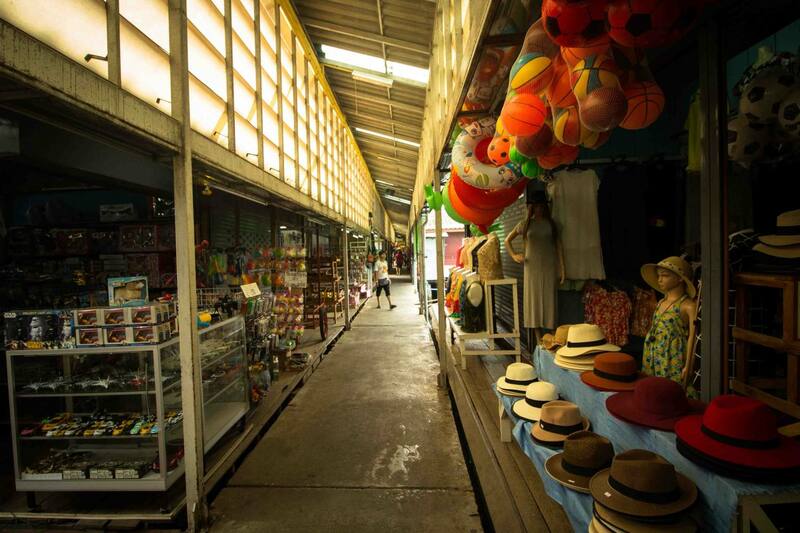 If you’re visiting the southern end of the island, Bangbao Pier Market is the main attraction. Bangbao used to be a fishing village, and at one point, this pier was just a place to offload the day’s catch. Oh, how it’s changed… Now it’s a quarter mile-long shopping experience, filled with shops selling clothes, cameras, trinkets, and all the seafood that used to be the only income for residents of the village. Still, it’s a fun place to walk around, and the views you catch every once in a while between the claustrophobia-inducing shops are fantastic. There are also tons of fantastic and cheap local restaurants to try here (along with a waffle shop near the entrance to the market). Just a little ways from the pier, the ocean is a beautiful shade of blue and is framed by brilliantly green extinct volcanoes. I can’t talk about things to do on Koh Chang without mentioning one thing to avoid: the elephant rides. Yes, Koh Chang translates to “Elephant Island” – but that’s due to the shape of the island, not because elephants are native to it. 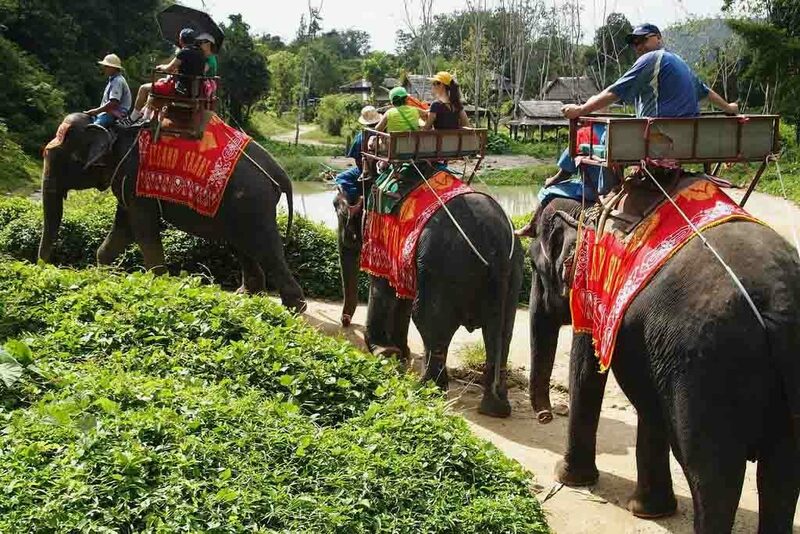 Elephant rides are a popular tourist activity throughout Thailand, but Koh Chang has only recently imported this cruel but all-too-common practice from the bigger travel destinations. Many tourists are unaware of the brutality involved with elephant rides. Despite an elephant’s size, their spine is not designed to carry weight the way a horse’s is. Carrying riders is painful for elephants, and it eventually leads to health problems. This is on top of the fact that wild elephants obviously wouldn’t allow a human to get on their back (!). The “training” elephants go through to become tame enough to carry riders is incredibly vicious – it’s called the crush. Once trained, most are prodded with sharp bull hooks on a daily basis to keep them in line. In Thailand’s elephant-riding capital of Chiang Mai, some companies advertise elephant tours that don’t involve riding the elephants. While some of the replacement activities are questionable, and many of those elephants are still subjected to the crush, it’s a step in the right direction. At least there’s an acknowledgment there that some tourists would prefer an animal cruelty-free experience; there’s no such acknowledgment with the tour companies on Koh Chang. So please, when you come to Koh Chang (or anywhere else), don’t ride an elephant. It’s nothing more than animal cruelty for the sake of tourists getting a laugh about riding on top of a really big animal. If people stop buying the rides, companies will eventually stop offering them – and the elephants will be much better off. 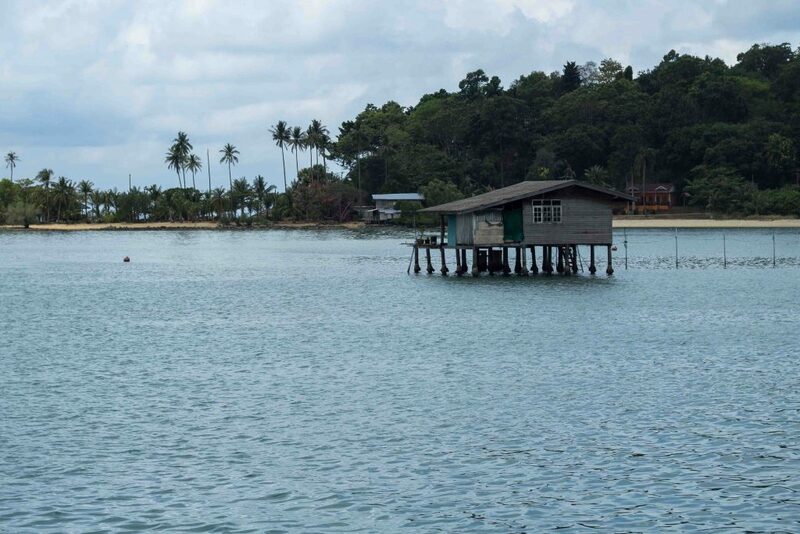 Koh Chang makes a great jumping-off point for seeing some the other islands along Thailand’s eastern seaboard. 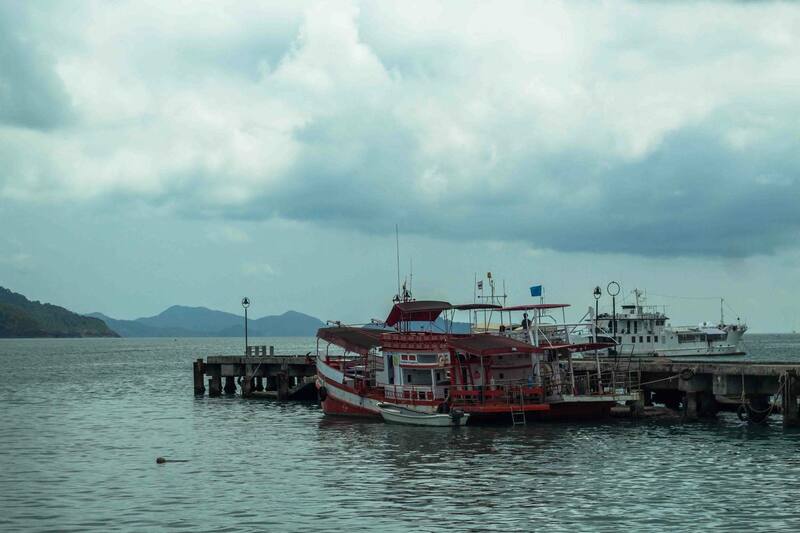 Most of the boats leave from Bangbao pier on Koh Chang’s southern tip. Koh Mak is one of the less developed islands in Thailand, with most of it devoted to rubber plantations. Almost all of the island’s hotels and restaurants are located on its western peninsula. There’s not too much to do there besides relax on the beach, and there’s nothing wrong with that. To get to Koh Mak, you have the option of taking a speedboat or the “slow boat” from Koh Chang. Slow boats are similar to the ones used for diving, and it takes a couple hours to cover the 14 miles from Koh Chang, with stops at a few other islands. The other option is a speedboat, which is a pretty wild ride. It only takes an hour, but it’s not for the faint of heart (or those who tend to get seasick). 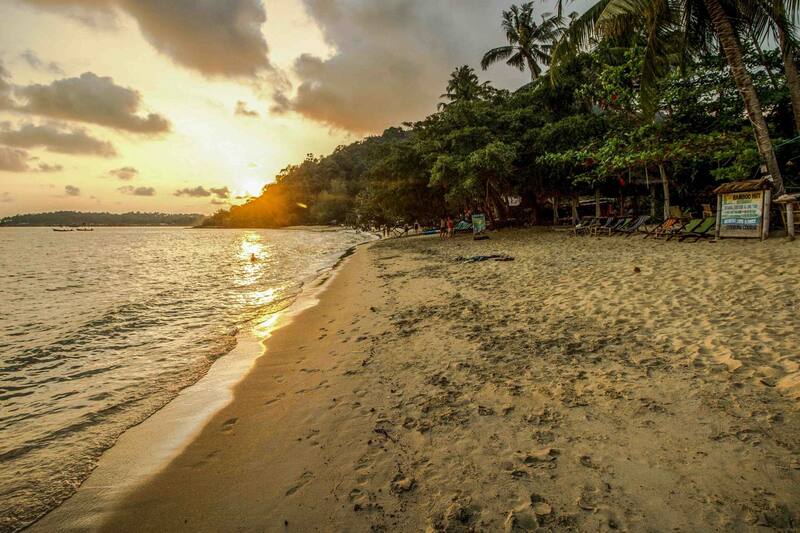 Koh Kood is the larger, more upscale cousin to Koh Mak’s beach-bumming atmosphere. The island’s western side is populated with some pricey resorts, but there are budget-friendly options near Klong Chao beach. 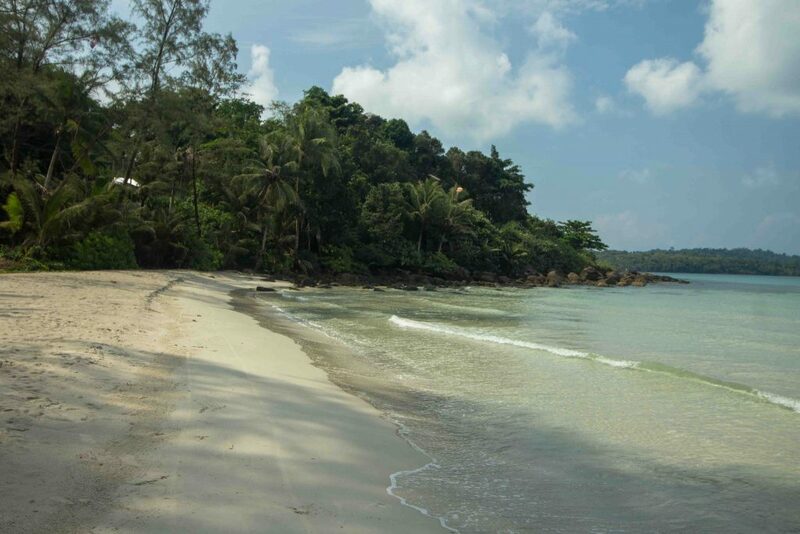 There are a few waterfalls to visit and a lot of winding roads to explore on a motorbike, but a stay on Koh Kood is mostly about chilling and enjoying the beach. To get there, you’ll take the boat to Koh Mak and then a speedboat to Koh Kood. Again, the speedboat is a wild ride that lasts around 45 minutes. Have any questions about travel in Koh Chang? Ask in the comments! Some links in this post are affiliates, meaning we earn a small commission if you place an order. Your cost is the same! 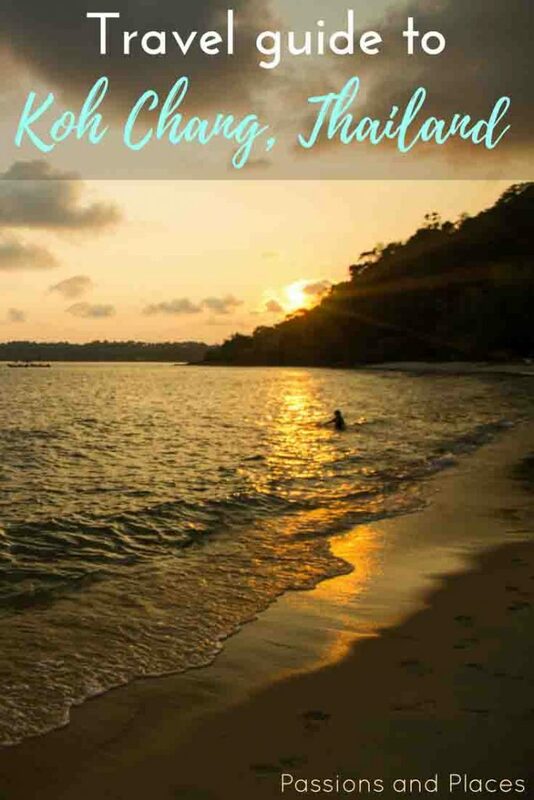 Koh Chang seems like an jaw-dropping and stunning travel destination, Ryan! I would love to explore it more soon. How many days would you recommend staying there? Thanks! It really depends on what you want to do there. If you’re thinking about scuba diving, I would say a week. If you don’t have your certification, getting one would take up half the week. If you’re already certified, you can buy a six dive package (only costs $30/dive then) and go out on three of the seven days. However, if you just want to explore, maybe five days. This would be enough time to hike, go swimming, watch some sunsets on the beach, and anything else that your corner of the island has to offer. Nice write up about the island & good to hear you enjoyed your time here. As you said the lack of public transport – only songtaews – is a hassle and using them can be pricey, especially when compared to mainland towns – Chiang Mai, Pattaya, Hua Hin etc. But compared to Samui & Phuket prices are still reasonable. https://iamkohchang.com – hope you found it useful when planning your trip. Thanks! And you’re right, Koh Chang is definitely a good budget option compared to some of Thailand’s southern islands!